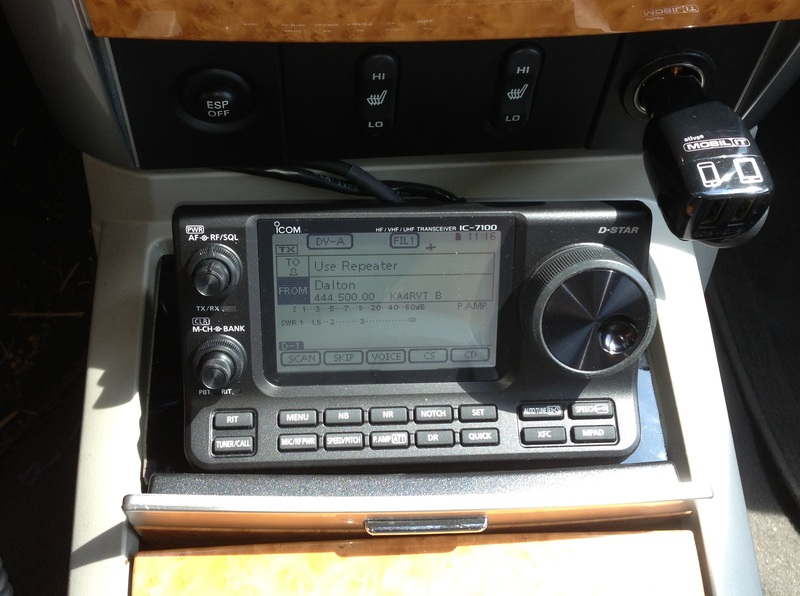 I’ve had a lot of fun over the last week installing my new Icom IC-7100 in my 2008 Chrysler Aspen SUV. 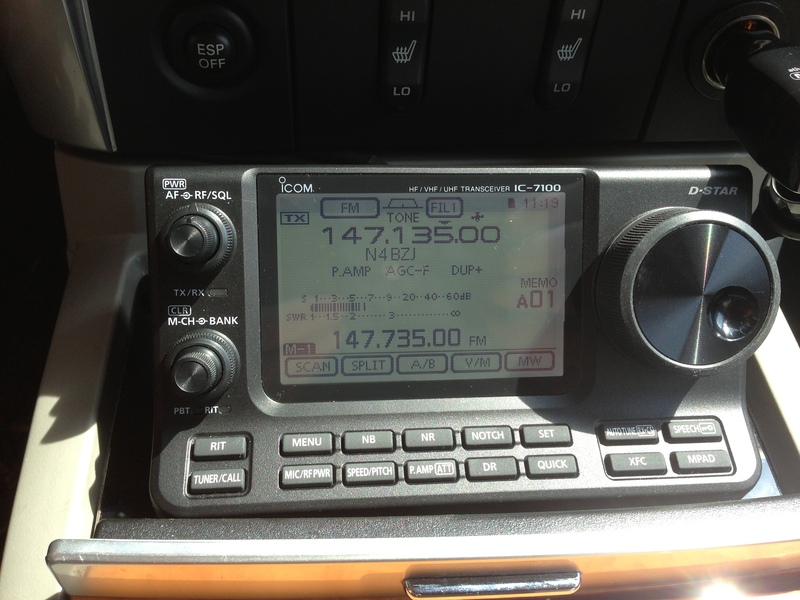 This new radio from Icom is a great mobile rig, but offers some unique mounting challenges. After completing my installation for D-Star, VHF, UHF and HF mobile operation of the 7100, I thought I would share my experiences in completing this project. Prior to the 7100, I used an Icom 2820 for mobile D-Star, VHF and UHF and a Yaesu 857D for mobile HF. With these two radios, I used the Comet SBB7 dual band antenna with the Diamond K9000 motorized mount (VHF, UHF, D-Star) and the Little Tarheel II antenna (HF). The 7100 has replaced both of these radios, but the antennas remain and work very well with the new rig. So, where did I start? I decided to begin with the most challenging part of the installation – the 7100’s control head. This control head is unique in that it is sloped, large and heavier than any mobile control head I have ever installed in a vehicle. My old control heads (857D and 2820) were mounted up high on the face of the dashboard by the air vent, but I quickly realized that the 7100 could not be mounted in this configuration. 7100 control head mounted in the center console. Fortunately, I had a compartment in the console in my SUV that was not being used (well, it was a great junk collector), so I decided to see if I could mount the control head at this location. The dilemma was that while the unit would fit inside the compartment, in this configuration it would be inaccessible for touch screen control or the pressing of buttons. After giving this some thought and carefully looking at the mounting options for this control head, I realized that the device had a standard ¼ inch thread at the bottom. This is the same size and type of thread that you would find on most cameras that can be tripod mounted. Sure enough, a ¼ inch lag bolt I had on the workbench fit this thread perfectly. Front view of Plexiglas mounting platform for 7100 control head. Although I found that the control head had a standard ¼ inch thread, this still did not provide me with a clear mounting option in my vehicle’s console compartment. The answer presented itself in the form of a spare piece of black Plexiglas I had in the garage. I decided that if I could cut the Plexiglas to form fit the opening of the console compartment; I could mount the control head to the Plexiglas to fit on the console. 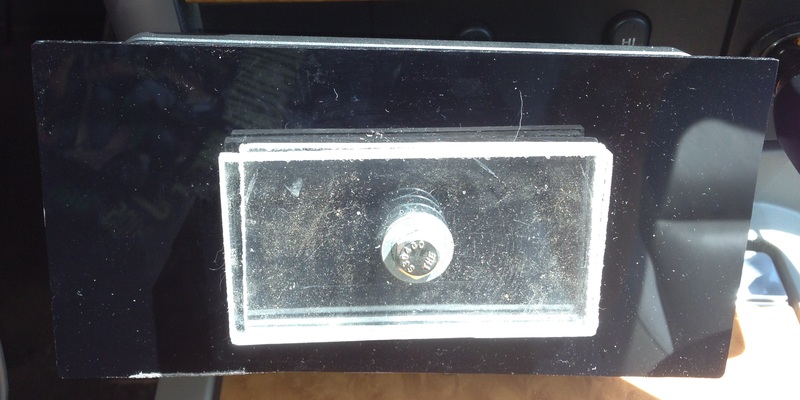 Bottom view of Plexiglas mounting platform for 7100 control head. So, I cut the Plexiglas with a table saw to tightly fit in the opening, made a few clear Plexiglas spacers and mounted the control head to this assembly with the ¼ inch lag bolt. I then fit the whole thing into the compartment opening and it fit like a glove! The control head does not move at all when I’m driving, even on bumpy roads! 7100 body under the seat. After completing this, the most challenging part of the installation, I mounted the radio under the seat of the car and began the time consuming process of running the control head cable, microphone cable, coax and speaker wire. 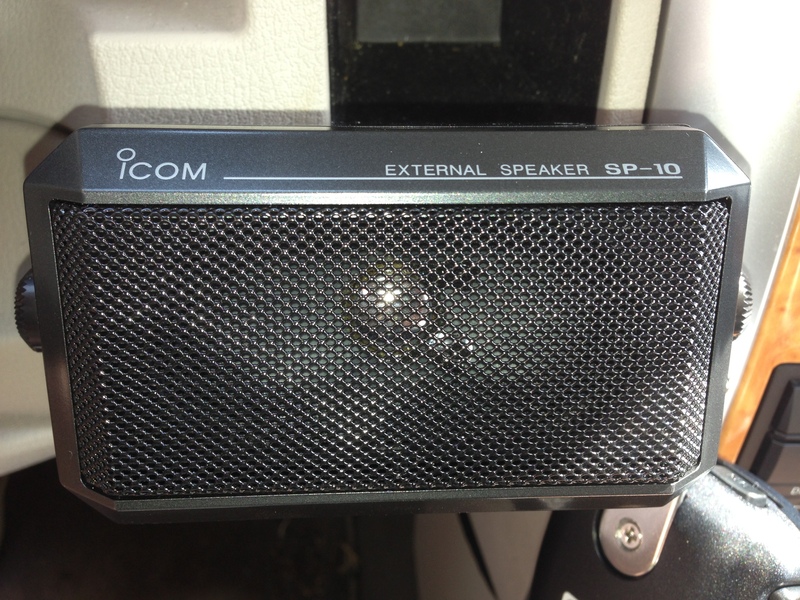 A note here about the speaker; the control head has a built in speaker that is great for most applications; however, I already had an Icom SP-10 mobile speaker mounted on the dashboard and decided to use it. It also serves as a mounting location for my microphone hanger. Both speakers sound great. The last challenge was to interface a GPS receiver with the 7100. This is particularly important for D-Star operation as it enables the “Near Repeater” function that allows you to find the closest D-Star repeater to your location just by pressing the touch screen. Fortunately, I already had a Byonics GPS2 that I have used with several other radios, so I mounted this on the dashboard and ran the wire to the back of the main radio body under the seat. It worked perfectly. After completing the installation of the 7100 in my vehicle, I tested its operation on D-Star, the local analog FM repeaters and on various HF bands. I was very pleased with the operation of this radio and so far it has performed flawlessly. When I first saw the pictures of the 7100, I was skeptical whether it would be a good choice for mobile operation. This caused me to be somewhat hesitant to install it in my vehicle. After deciding to take the plunge, I am very glad I did. This is a fantastic all band/all mode radio for mobile use (and for use in the ham shack), and one I plan to use for a very long time. This entry was posted in Uncategorized and tagged D-Star, HF, IC-7100, Icom, Mobile, UHF, VHF. Bookmark the permalink. 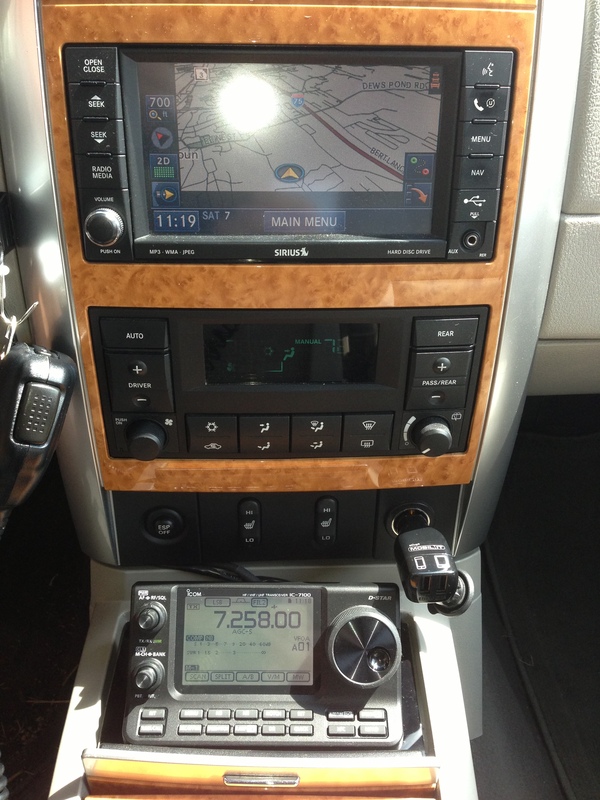 Many thanks for your ICOM IC-7100 SUV installation details and GPS connection information. I ordered my IC-7100 on 17th July and hope to get it fitted in my Honda CR-V later this month. Good luck with the Radio. It looks AWESOME! Nice write up, thanks for sharing you install and thoughts on the 7100. Did you have to run a separate power supply to the byonics gps or does it take power from the Ic-7100? @Stephen – Thanks for the compliments. It was a “fun” install! @Michael – The Byonics GPS receiver needs a separate power connection. Byonics will sell it with a cigarette lighter plug or Anderson Power Poles. I have the power poles connected to a West Mountain power distribution strip. 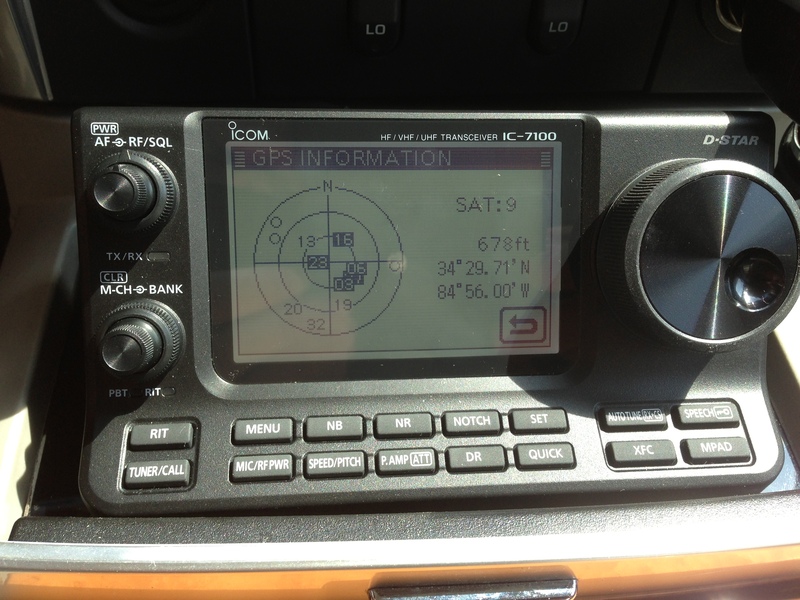 The GPS receiver will not get power from the radio. I just got my 7100. New to Dstar too! The GPS does it have a connector that goes directly into the 7100 or RS-232 connector? Is the option Icom OPC-1529 cord needed? @George (N5QF) – Welcome to D-Star! 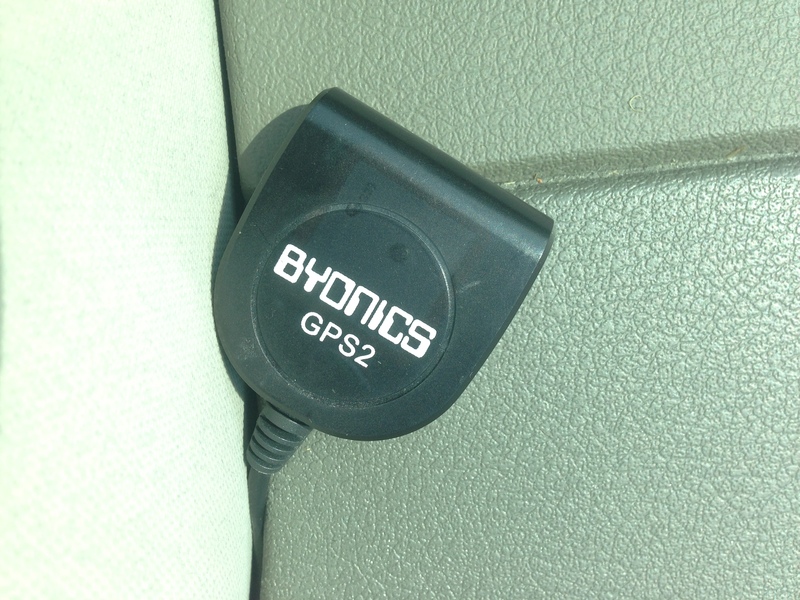 The GPS I use (the Byonics GPS II) has a 2.5 mm plug that fits in the data jack of the IC-7100. I had to create a null modem cable (reverse tip and ring) to use with it, but it functions perfectly. thanks for your info! I have a gps mouse (PGM-111) with tx/rx ttl and/or rs232 out. Should i use ttl from the mouse like ci-v? The Kenwood TM-D710 mic and control pinouts and voltages can be found here at the bottom of the page http://www.swapmyrigs.com/home/details.htm. Note that the control head voltage is 10 volts and the mic is 8 volts, not 8 and 8 as some have stated. 3. At the same other end of the CAT5, connect conductor 6 (green in a standard CAT5 connection) to a negative (black) Anderson plug. The other conductors aren’t connected. 4. The Anderson plug can go directly to 12 volts. 6. Plug one stereo plug into the IC-7100 and the other into either jack of the Green Light GPS. It doesn’t matter which. The point is that the IC-7100 needs a null connection (pins 2 and 3 swapped for a DB9 and tip-ring swapped for a 2.5 mm plug). I wish Icom would have left the “head unit” like the IC-7000.This “funky shaped”head unit and mono colored display is a Mobile install nightmare for some…I hope the next one they get right.. I got used to the control head in my vehicle. had they not angled it, it would be quite long and be even more difficult in a mobile setup. You inspired me to install my IC7100 in my F150 with Plexi.